Russian President Vladimir Putin began a visit to Iran on Wednesday designed to underpin closer ties between two countries at loggerheads with the US. Putin and his Iranian hosts are expected to discuss the nuclear deal and regional crises such as the Syrian conflict. Moscow and Tehran are the main backers of President Bashar al-Assad while Washington, Turkey and most Arab states support opposition groups seeking to overthrow him. During his visit, Putin will also discuss boosting bilateral economic ties and will take part in a three-way summit between Russia, Iran and neighbouring Azerbaijan, according to state TV. Russian and Iranian help has proved crucial for Assad, allowing him to win a series of military victories since 2015 and to reestablish his control over most of Syria. Moscow is now trying to build on that success with a new diplomatic push, including a meeting in the Black Sear resort of Sochi last month. Moscow is also an important ally for Iran in its confrontation with the Trump administration, which on October 13 refused to certify Tehran’s two-year-old nuclear deal with six major powers that include Russia and the United States. Russia has criticised Trump’s move, which has opened a 60-day window for Congress to act to reimpose economic sanctions on Iran. These were lifted under the 2015 accord in return for Tehran curbing its nuclear program. Another Iranian official said Trump’s aggressive Iran policy had united Iran’s faction-ridden leadership in alignment with Russia. 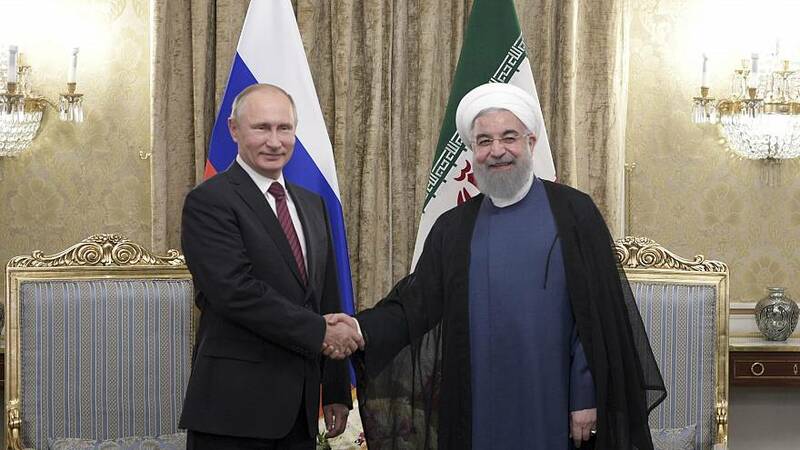 “We are very pleased that, apart from our bilateral relations, our two countries play an important role in securing peace and stability in the region,” Iranian President Hassan Rouhani told Putin in his opening remarks. “This is a very important visit (by Putin). It shows the determination of Tehran and Moscow to deepen their strategic alliance, which will shape the future of the Middle East,” an Iranian official told Reuters, on condition of anonymity.